In November, Josef Chromy will host the second annual Effervescence Festival, celebrating Tasmanian Sparkling in spectacular style. 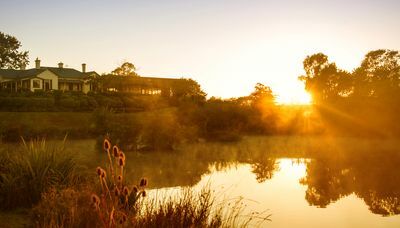 Around half of Tasmania's Pinot Noir and three quarters of its Chardonnay is now highly prized for sparkling wine, with several specialist sparkling houses and many of the island's sparkling wines winning international awards and acclaim. So where did it all begin? Despite some early attempts in the mid-19th century, wine production in Tasmania did not commence in earnest until the 1950s, considerably later than most other Australian wine regions. European migrants identified similarities in Tasmanian soil and climate with certain wine regions of Europe, and began to successfully ripen and harvest grapes. These early experiments quickly led to the production of a wide range of varieties. 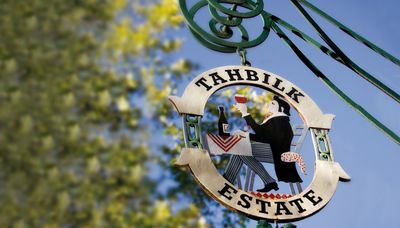 The success of the Tasmanian wine industry is thanks largely to a landscape dominated by dolerite-capped mountains that shelter the island’s wine regions from high winds and rainfall. The vineyard soils are formed from ancient sandstones and mudstones and also from more recent river sediments and igneous rocks of volcanic origin. Tasmania has a moderate maritime climate, and as such enjoys seasons free of extremes in temperature, ideal for grape growing as it allows the grapes to ripen slowly on the vine, resulting in maximum flavour development. The Tasmanian vintage usually begins from mid-March, at the peak of the dry autumn when ripening occurs, to late May before the risk of frost and rain. While a wide range of varietals are grown in Tasmania, including Riesling, Pinot Gris and Cabernet Sauvignon, the region is best known for Pinot Noir, Chardonnay, Sparkling and Sauvignon Blanc. In 1986, esteemed Champagne house - Louis Roederer partnered with the owners of Heemskerk Wines to produce Tasmania’s first premium vintage sparkling wine. They saw the similarities between the climate here and the famous wine region of their homeland. The investment paid off and paved the way for other Tasmanian wineries to experiment with sparkling. Keen to hear more? The true sparkling enthusiast should make haste and book their place at Effervescence. Alongside the line up detailed below, visitors can sample some of the best Sparkling wines in the Grand Marquee where there will also be some delicious food to sample from Bruny Island Cheese Co and Huon Aquaculture. One of the greatest Chefs in the world - Tetsuya Wakuda will joining in to celebrate over the weekend and the 2015 International Wine Communicator of the Year - Tyson Stelzer will be guiding us though the weekend's events. If that's not enough, visitors will be entertained with some great Jazz during the day then one of Sydney's best DJs to relax to on Saturday night for Bubbles and Beats. Visit www.effervescencetasmania.com for more details. Master Class #1 Tasmania Sparkling. Terroir, Typicity & Taste. Master Class #2 Cheese & Sparkling - life's great culinary pleasure. Master Class #3 Huon Caviar and Sparkling - Pure Decadence!